Originally published on the NAC website and republished with permission. At this years' fourth annual Population Strategy Meeting, hosted by Population Media Center on 4 October in Washington DC, Dr Stephen D Mumford gave the talk “Infallibility and the Population Problem”. The Population Strategy Meeting is now the most important population meeting held in the US each year. It brings together the CEOs of population organisations and the heads of the population sections of environmental organisations. It includes the mainstream of population thought in the US. Dr Mumford makes clear from the outset that he is talking about the Vatican hierarchy and not the Catholic laity. He covers a great deal of territory, drawing from the work of numerous historians, many of them Catholic themselves. He illustrates how the Vatican has shown itself to be in opposition to population concerns, and that the doctrine of papal infallibility underlies their behaviour. Dr Stephen D Mumford is the founder and president of the Center for Research on Population and Security. He has his doctorate in Public Health. He has decades of international experience in fertility research where he is widely published. In 1981 he received the Margaret Mead Leadership Prize in Population and Ecology. Dr Mumford's principal research interest has been the relationship between world population growth and national and global security. He has been called to provide expert testimony before the US Congress on the implications of world population growth, and has addressed conferences world-wide on new contraceptive technologies and the stresses to the security of families, societies and nations that are created by continued uncontrolled population growth. In addition to his books on biomedical and social aspects of family planning, as well as scientific articles in more than a score of journals, Dr Mumford's major works include: Population Growth Control: The Next Move is America's (New York: Philosophical Library, 1977); American Democracy and the Vatican: Population Growth and National Security (Amherst, New York: Humanist Press, 1984); The Pope and the New Apocalypse: The Holy War Against Family Planning (Research Triangle Park, North Carolina: Center for Research on Population and Security, 1986); and The Life and Death of NSSM 200: How the Destruction of Political Will Doomed a U.S. Population Policy (Research Triangle Park, North Carolina: Center for Research on Population and Security, 1996). by Stephen D. Mumford, Dr. P.H. I have been asked to speak about what the Catholic Church has been saying and doing in its opposition to family planning. I want to be clear from the outset that I am talking about the Vatican hierarchy and not the Catholic laity. As many of you know, studies show that American Catholic women use contraception and abortion at slightly higher rates than non-Catholic women. My research has been devoted to the Vatican's thwarting of population initiatives, including contraceptive development. Unfortunately, I have documented that modern threats to the institutional survival of the Church drive Vatican behavior, which has condemned millions to live in poverty by denying them access to resources that could help them lift themselves out of destitution. Arthur Westing, former director of the United Nations Environment Program project on Peace, Security and Environment recently shared a profound observation: “Inexplicably [emphasis mine] and inexcusably, recommendations by the United States, the United Nations and independent research groups essentially never include – and certainly never stress – population as a contributing factor to global warming.” For me, the reason long ago ceased to be inexplicable, and I would like to discuss my journey with you today. I will be covering a great deal of territory, drawing from the work of numerous historians, many of them Catholic themselves. I will illustrate how the Vatican has shown itself to be in opposition to population concerns, and that the doctrine of papal infallibility underlies their behavior. I must ask you to bear with me as I describe a complicated sequence of historical events that leads us to this conclusion. Everything I am offering today is documented, and has been meticulously referenced in this book, a copy of which is available to you free of charge GENESIS OF MY FOCUS. I would like to begin by saying why the focus of my career in the population field has been somewhat different from others in this field. During a military tour of duty in Korea in 1969 and 1970, I witnessed, for 13 months, the mass migration of the rural population into tent slums in Seoul, at a rate of 100,000 people per month. The population had outgrown the capacity of their traditional family farms to support them, undermining their security. As I traveled throughout Asia during this period, I saw that other countries were having the same experience. This led to my decision, upon my return to the States, to prepare myself for a career in population studies. In 1970, I enrolled as a graduate student at the University of Texas School of Public Health to pursue this career path. I had the good fortune of having as my advisor, Milton Siegel, who was just finishing his 24-year career at the World Health Organization as an Assistant Director General. Professor Siegel made a statement to me that changed my life. He said that if I wanted to be a serious student of population, I must become a serious student of the Catholic Church. And he told me about his experiences that led him to this conclusion. Siegel was present at the founding of the World Health Organization in 1948. The issue of population growth arose at every W.H.O. meeting during those early years. But, as Siegel recounts, he and then W.H.O. Director General, Brock Chisholm, were warned by Vatican representatives that family planning was off limits. This monograph covering the details is available afterwards. Family planning and population growth were indeed ignored by W.H.O. for its first 17 years. This is the kind of power the Vatican hierarchy had then and still does today. For example, earlier this year, Frances Kissling published an article in which she reminded us that, “At the United Nations, the Holy See announced that if family planning were designated as a part of primary health care – a designation that would define the terms of international aid for churches and NGOs – it would consider withdrawing from providing health care services in the developing world.” – Frances Kissling, “Close Your Eyes and Think of Rome: How close did the Vatican come to embracing birth control?” May/June 2010, Mother Jones. Dr. Rei Ravenholt has published on the United States Agency for International Development’s experience of this kind of Vatican intimidation. Copies of his monograph are also available afterwards. 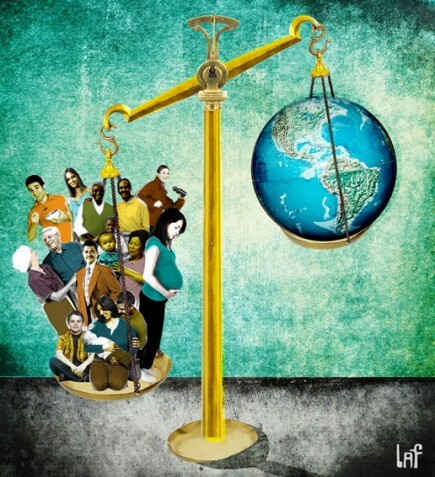 Though the population explosion was a politically correct topic in America in the early 1970s, during the course of my graduate studies, I found few people who had considered overpopulation as a national and global security threat. I proceeded to write my first book on this topic, and for 40 years now I have worked in the population field studying the population-security relationship and the obstruction of solutions to the population problem, primarily by the Vatican – and in the development of contraceptive methods. During my graduate studies, I became aware that a study of the U.S. population was initiated on March 16, 1970. 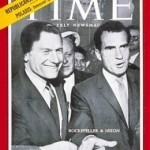 On that date, President Richard Nixon established the Commission on Population Growth and the American Future – the Rockefeller Commission – with John D. Rockefeller III as chair. This study resulted in 70 carefully reasoned recommendations that, if adopted, collectively would have resulted in a superb U.S. population policy. However, not one of these recommendations was ever implemented, and to this day, unlike nearly every country in the world, the United States has no population policy. In the mid-1970s, unknown to me, our government was also studying the population-security relationship at the highest levels, as a result of Nixon’s National Security Study Memorandum 200. This study included all agencies of the U.S. government involved with security – including the Departments of Defense, State and Agriculture, the CIA, and the Agency for International Development. … World population growth is widely recognized within the Government as a current danger of the highest magnitude calling for urgent measures. … there is a major risk of severe damage to world economic, political, and ecological systems and, as these systems begin to fail, to our humanitarian values. No country has reduced its population growth without resorting to abortion. Indeed abortion, legal and illegal, now has become the most widespread fertility control method in use in the world today. It would be unwise to restrict abortion research. Unfortunately, the NSSM 200 report was classified in 1976 and remained so until 1989. To this day, the press has never exposed the information contained in this report to the American public. Thus, the world was unaware of this alarming description of reality. In my view, the Rockefeller Commission and the NSSM 200 reports are the most important documents ever written on the population problem. My 40 years of research show that the Vatican’s machinery to impose its will upon governments led to their demise. These next three slides present a paragraph from the minority report of the pope’s Commission on Population and Birth, authored in 1966 by the man who later became Pope John Paul II. This paragraph shows with great clarity the real motivation of the papacy: institutional survival. If it should be declared that contraception is not evil in itself, then we should have to concede frankly that the Holy Spirit had been on the side of the Protestant churches in 1930 (when the encyclical Casti connubii was promulgated), in 1951 (Pius XII’s address to the midwives), and in 1958 (the address delivered before the Society of Hematologists in the year the pope died). It should likewise have to be admitted that for a half a century the Spirit failed to protect Pius XI, Pius XII, and a large part of the Catholic hierarchy from a very serious error. This would mean that the leaders of the Church, acting with extreme imprudence, had condemned thousands of innocent human acts, forbidding, under pain of eternal damnation, a practice which would now be sanctioned. The fact can neither be denied nor ignored that these same acts would now be declared licit on the grounds of principles cited by the Protestants, which popes and bishops have either condemned or at least not approved. The Cardinal’s message: If we change the Vatican’s position on birth control, we will destroy the dogma of papal infallibility. What is the dogma of papal infallibility? Papal infallibility means that god speaks directly through the pope, and thus the pope cannot possibly be in error. It means that the pope is incapable of being mistaken when he makes decisions on matters of faith and morals. Virtually all matters, however – including political, social, economic and procreative – can be framed in terms of faith and morals. To fully understand the relationship between population concerns and infallibility, we need to discuss the history of papal infallibility. Many people are surprised to learn that infallibility only became Catholic dogma in 1870. Prior to that, the pope was merely the bishop of Rome, one of many voting bishops. We owe an enormous debt to the Catholic historian August Bernhard Hasler, who was given complete access to the Vatican archives for a five-year period in the 1970s. Hasler used this unprecedented access to Vatican records to carefully study the Church’s history during the period leading up to and just after the proclamation of papal infallibility. 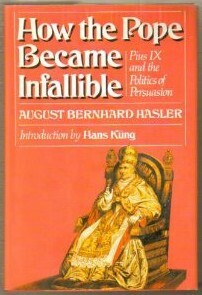 He published a book on his findings, How the Pope Became Infallible, in 1979. This is an incredible story. It reveals a very ugly internal power struggle brought about by gravely threatening events faced by the papacy at that moment. 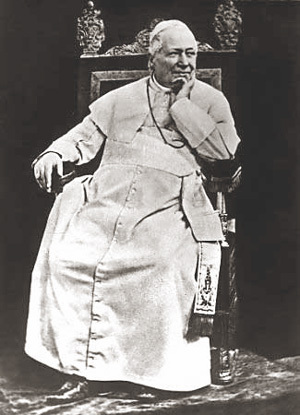 Pius IX – the pope in 1870 – was responding to several events of the times. It is believed that he wished to extend his spiritual jurisdiction as compensation for his loss of secular power resulting from the loss of the Papal States. In the 1870s, the Church was under siege from many different forces: secularism, liberalism, rationalism and naturalism. The French Revolution had changed the Catholic world permanently. Pius desperately needed to contain the democratic forces of unbridled journalism which were wreaking havoc on every aspect of the institution of the papacy, especially in France. He believed that the principle of infallibility would counteract the principles of democracy, embodied in the French Revolution. After 1870, the Vatican no longer had at its disposal the option of physical coercion – ranging from detention to annihilation – which was not infrequently used by the pope. In fact, in 1870, Pius IX was still regularly beheading and hanging people who threatened the papacy. In his 1864 encyclical Quanta Cura, Pius IX had listed 80 contemporary errors and condemned them. This is referred to as the Syllabus of Errors. The Syllabus of Errors condemned many of the freedoms Americans hold dearest: freedoms of conscience, speech, the press, and religion. Pius IX rightfully recognized that American-style democracy gravely threatened the papacy. The Syllabus was his definitive challenge to the modern state. The free presses of Europe and North America were, at the time, gravely undermining papal authority. The proponents of the doctrine of papal infallibility were convinced that this doctrine would lead to control of the world press on matters vital to papal authority. The control of individuals in the press – as well as individuals who could be used to manipulate the press in various ways, including intimidation, in order to protect papal authority – was a key argument for adoption. The promoters of the infallibility dogma believed that by raising the pope’s authority to its utmost limit they could gradually break society of its liberal and democratic tendencies. According to Hasler, “The plan was to enhance the pope’s authority as much as possible, not only in hopes of strengthening the old hierarchical order within the Church but, above all, in society at large.” This objective was largely achieved, especially in the United States, as bishops and lay Catholics marched in lock-step until 1968 when the encyclical Humanae Vitae was issued, which forever ruled out Catholics’ use of contraception. My research has shown that during the period 1917 to 1968, the American press was largely controlled and did not report critically on Vatican activities. For example, the Knights of Columbus, the largest organization of Catholic laity in the world, was founded in 1882, soon after the dogma of infallibility was adopted, by a priest in New Haven, Connecticut. The mission: protect the faith. By 1914, the Knights had evolved into a national organization with considerable capability to intimidate those who spoke out against the Church, regardless of whether the criticisms were justified. 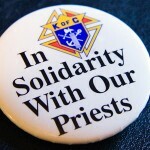 The Knights of Columbus created the Commission on Religious Prejudices, chaired by Patrick Henry Callahan, to shut down the press’s criticism of the Church. According to their 1915 report, the Commission sponsored an education campaign by “informing and correcting editors and journalists who allowed religious prejudices to surface in their newspapers.” Callahan pointed out that between August 1914 and January 1917, the number of publications that published material critical of the Church dropped nationwide from 60 to two or three. Until that time, the American press had been free to be critical of the pope, the Vatican and the bishops. But since the days of Callahan’s Commission, the American press has not been free to report on their considerable political activities, and, most importantly, the motivations behind those activities. From that point forward, the issue has been papal infallibility versus scientific truth … the problem we grapple with today. The Church does indeed gain, at first, in unity and uniformity, but it blocks off its own free access to the real world and ultimately stands in danger of losing touch with reality completely …. On the one hand, Catholicism gains in … political muscle; on the other, its conflict with science grows more intense. Its dogmatic commitments make it harder for the Church to adapt to circumstances; they lessen its flexibility and the chances for reform. The Church loses it credibility with many people and draws in on itself. The papacy has acquired enormous political muscle as a result of this dogma. The political influence that was needed to halt the Rockefeller Commission and NSSM 200 in their tracks, and cause the press to ignore them for 35 years – to this day – is truly impressive. 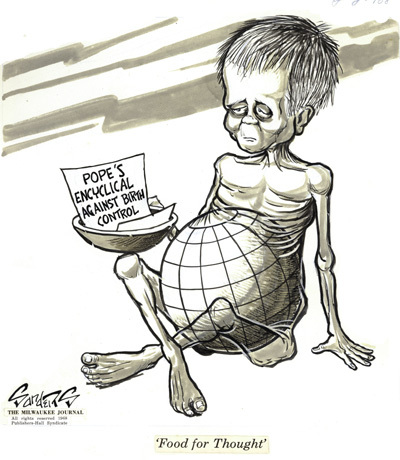 In the April 25, 1993 issue of The Independent On Sunday published in London, Mark Hertsgaard states, “The Vatican has managed to derail every international effort to curb the population explosion.” This is despite the fact that we are overwhelmed with evidence that unbridled population growth gravely threatens almost everything we value. This accomplishment has required enormous political power. The Vatican ignores the findings of science when their acknowledgment threatens to undermine papal authority. The best examples are the innumerable scientific findings showing that overpopulation is causing often permanent degradation of our planet, and reducing the number of people Earth can support on a sustainable basis. The Vatican sets about deliberately undermining the credibility of science in its campaign for institutional survival. As a result of the hierarchy’s efforts to survive the onslaught of scientific information, including facts about global warming, we are all continuously bombarded with disinformation which seeks to throw these findings into question. But science continues, on nearly a daily basis, to produce alarming evidence that the Vatican’s position on family planning and contraception is indefensible. In this statement, Pope John Paul II acknowledges the obvious. The principle of papal infallibility is now the fundamental principle of the Church. It is the glue that holds all dogma, all Church teachings, together. Without it, the whole Catholic system would disintegrate. For this reason, the primary focus of the Vatican hierarchy is on protection of the principle of infallibility. If this principle is undermined, the system will self-destruct. But more important to us as Americans, this despotic authority exercised by the pope has serious implications for the way in which we should view bishops who serve in America. Since American security-survival interests, as explored in NSSM 200, and the security-survival interests of the papacy, as defined by Pope Paul VI and Pope John Paul II, are squarely in conflict, the American bishops cannot possibly represent the interests of both. I am convinced that the most important step taken by the Vatican to rein in American population efforts was the creation – in answer to the passage of Roe v. Wade – of the United States Bishops’ Pastoral Plan for Pro-Life Activities in November 1975. I have copies of the Plan as published in 1975, which is a little different from the one currently on their website, with me today. Given its importance, it is unfortunate that time does not permit my talking in depth about the Pastoral Plan. Thus, I will summarize. In a nutshell, the Pastoral Plan outlines the creation of an extraordinary pro-life political machine. Success of the Plan would place anti-abortion proponents in all levels of government and society. When this Plan was approved by the bishops at their annual meeting in November 1975, the National Catholic Reporter newspaper editorialized that it would result in the creation of an American Catholic political party. It appears, however, that rather than a new party, the bishops merely appropriated the Republican Party. 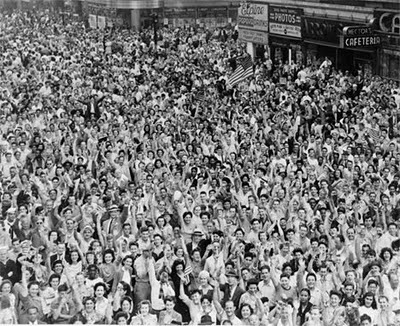 I believe this Plan was the most important American political development of the last half of the 20th Century. It is discussed in detail in two chapters in my book. It is my opinion that there is no greater influence on American politics today than the Pastoral Plan for Pro-Life Activities. For me, Dr. Küng’s statement best summarizes the world population problem. To protect the dogma of infallibility, the Vatican has been forced to undermine the political will of governments which have been striving to deal with overpopulation. It has been largely successful in undermining the political will to deal with this problem in all countries, except in China. And, political will is vital to halting rapid population growth. Thus, the dogma of infallibility lies at the very heart of the overpopulation dilemma. When I entered the population field, the world’s population was growing at a rate of about 70 to 80 million a year. For 40 years now, I have watched it grow at about that rate. What we have been doing to slow this growth has not worked. We must now take Dr. Küng’s observation seriously. Thomas Jefferson knew that transparency of the truth is paramount for a functioning democracy. The founders of our nation included freedom of the press in the Bill of Rights so that Americans’ freedom would be protected by our access to the truth. The Vatican’s plan for imposing its doctrines includes limiting citizens’ access to truth by silencing any critical press. In this way, the Vatican is able to avoid transparency of its activities as it manipulates our response to the population crisis. To succeed in our work, we and our colleagues in the population field need transparency of these facts. We must be bold and tenacious in confronting this disconcerting and uncomfortable truth.